Online registration ends at 11:55 pm on Thursday, February 22nd. You can save $5 on your 5K registration, and you are guaranteed to get a race t-shirt. We will have Walk-Up Registrations ($40/adults) and Packet Pick Up from 4pm to 7pm on Friday, the 23rd at Historic Tredegar, and again on Saturday at 9:30 am. You can register as an individual or put together a team to participate in the Community Cleanup (free), walk or run in the 5K (currently $35 online), and/or take the James River Jump ($75 fundraising minimum). Remember, you only have to raise the $40 difference to take the James River Jump if you register for the 5K today. Get your family and friends involved to take part in the festivities. We hope to see you there! Is Your Family Ready to Shiver on Saturday, February 24? Sign up today for the Community Cleanup, the 5K, the James River Jump – or all three. Go to Shiver in the River for RVA’s Coolest Winter Festival. Keep Virginia Beautiful’s fourth annual Shiver in the River features live music, beverages, food, heated tents, and fun activities for the family. The most versatile festival in Richmond directly benefits the environment, the James River, and Virginia. 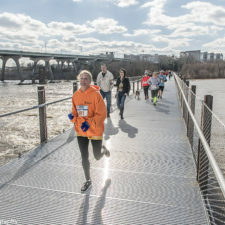 You can clean up, walk/run, jump in the James River – or do all three. You can participate in as much or as little as you want, and you can form teams challenging your family, friends, and co-workers. Register as an individual or put together your team to participate in the community cleanup, walk or run in the 5K, and/or take the James River Jump. The cleanup is free, the 5K is $30 (through the end of January), and you need to raise a minimum $75 for the privilege to jump. It’s easy to set up a fundraising page for Jump in the James or even showcase your love for Virginia by raising money for your efforts in the cleanup and 5K … and earn great incentive items like the coveted long sleeve t-shirt, plus more. Gather your family, friends, and coworkers. Go to here and sign up today. 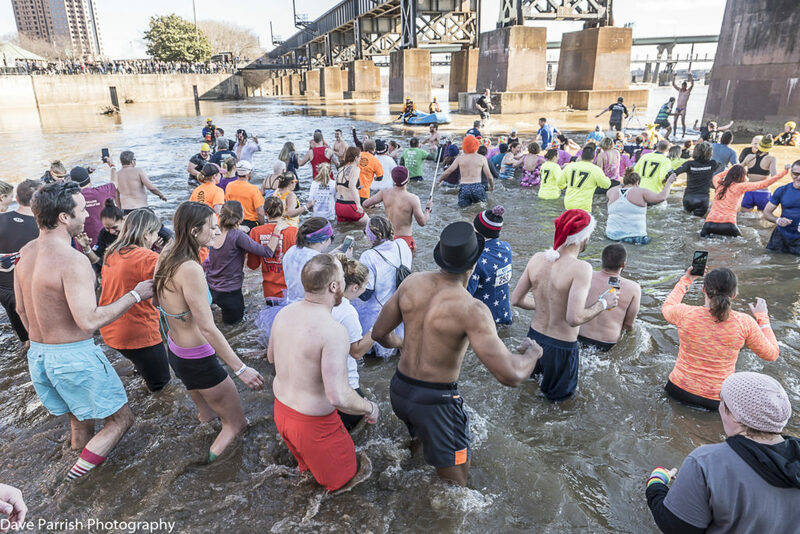 Shiver in the River is Saturday, February 24.